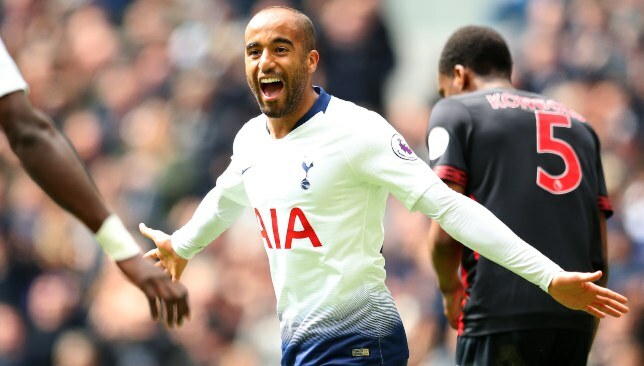 Moura bagged an excellent hat-trick against Huddersfield. Everyone expected Son Heung-min to be the man to step into the limelight in Kane’s absence, but with the South Korean named on the bench, it was Moura who did the damage with a first hat-trick in European football. “football moves so quick and after the game when Harry got injured everyone believed Sonny was going to step up and is going to be the man, but we have seen today Lucas got a hat-trick and it was an unbelievable afternoon for him,” Pochettino said. “I am so happy, the performance was very professional, I am happy for Lucas for his hat-trick. Kane sustained an ankle injury in the clash against City. “It is going to help and bring him confidence. We have ahead a very tough period, two games against Manchester City and then Brighton. Alli has a broken hand while Winks aggravated a groin problem in training on Friday and Pochettino is sweating on both men’s fitness for the Champions League quarter-final second leg at the Etihad Stadium on Wednesday. “We’ll see because we are not sure,” Pochettino said on Alli. “He is doing some training sessions with protection, he needs to feel comfortable. On Winks’ injury, he added: “It’s the same as in the past. He’s a player we need to assess, and then after tomorrow take a decision. It’s a similar situation, it’s not a big issue but it’s an issue that maybe won’t allow him to play or not be in condition to play Wednesday. For Huddersfield, who saw Juninho Bacuna’s free-kick tipped onto the crossbar, this was their 19th defeat in 21 matches as they count down the games until their Premier League journey ends. Head coach Jan Siewert, who has lost all but one of his matches in charge, said: “When you are so brave, away at Tottenham, until the end, and you have three good possibilities to score, to be the first away team who could score here, it makes me proud in a way. “But still, a lot of our mistakes, a lot of our individual mistakes [from which] they scored goals today. A defining spell in quintuple-chasing Manchester City’s grinding Premier League defence begins with their fraught trip to Crystal Palace. Selhurst Park’s reputation as a graveyard for title aspirations is well established. Current leaders Liverpool’s hopes met a definitive end there in 2013/14 – little more than a week after the infamous ‘slip’ match against Chelsea whose approaching five-year anniversary is being marked with Sunday’s repeat – and the Blues’ went the same way a season later. 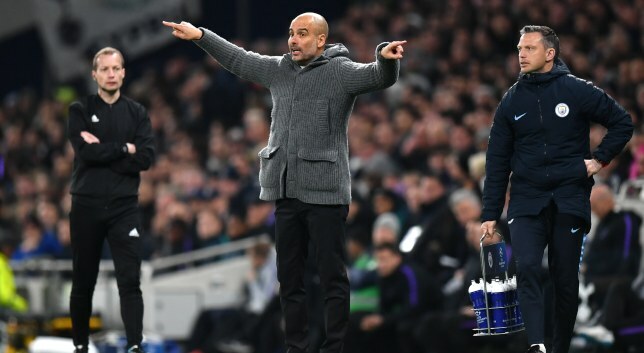 Pep Guardiola must also avoid a repeat of the Eagles’ shock 3-2 raid on Etihad Stadium in December, while managing resources ahead of an intense fortnight of action across two competitions. An uncomfortable record has been repeated and nauseam since City went down 1-0 at Spurs in Tuesday’s continental first leg. Guardiola last won an away Champions League quarter or semi-final back in 2011, against Ukraine’s Shakhtar Donetsk. This statistic, plus the four changes made for the trip to Tottenham Hotspur Stadium, has been weaponised in the wake of a first defeat since January 30 in all competitions. What could be of more pertinence was Germany midfielder Ilkay Gundogan’s suggestion – shot down by Guardiola – that City were “too nervous” on this grand occasion. Extrapolate this viewpoint to the top flight and another stat becomes pertinent. Guardiola was last involved in a legitimate title fight back in 2011/12, when Jose Mourinho’s free-scoring Real Madrid bumped Barcelona into second spot. 2013-16’s trio of Bundesliga crowns at Bayern Munich were claimed with an average points margin of 13. City got nowhere close in 2016/17, then broke every record standing last season. Guardiola’s brilliance means he is out of practice when it comes to a two-team fight to the finish. If the pressure of a big European night truly can get to him and his “nervous” players, could this clash with Palace with the finishing line in sight? We’ll see. Attention on Sunday will, inevitably, be focused nearly 300 kilometres away from south London. The Merseyside clash between Liverpool and Chelsea is layered with drama. But both City, and for their part Palace, can ramp up the tension even further in a match that will finish 30 minutes before kick-off in the day’s grandstand clash. A trio of points for the Blues will put them, temporarily at least, back on top of the standings. If Palace emerge victorious, a glorious opportunity to end 29 years of hurt will abound for Jurgen Klopp’s men. City are winless in their last two meetings with Roy Hodgson’s men. 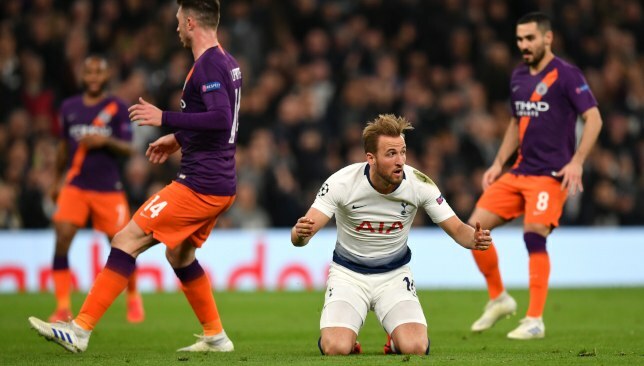 With top flight clashes to come next week against both Tottenham Hotspur – the same side for whom they are battling for a berth in the Champions League semi-finals – and Manchester United, a third could prove fatal in the title scrap. Guardiola, however, should not be unduly concerned. Palace have triumphed in just four of their preceding 16 games at Selhurst, plus Hodgson labelled last weekend’s 1-0 victory at Newcastle United as putting his side “virtually over the line” in regards to avoiding relegation. October’s pulsating 2-2 draw with Arsenal is, furthermore, the only this time they’ve not lost on home soil to top-six opposition this campaign. 📸 See how the lads have been preparing for the #CRYMCI game. This week’s narrative could have been changed. Sergio Aguero stained his return to the City XI after two games away through injury with a weak 12th-minute penalty, comfortably stopped by Spurs goalkeeper Hugo Lloris. The miss represented the nadir of a poor return from the Argentina marksman. From a trio of attempts only the missed spot-kick was on target, while in 20 minutes on the pitch replacement Gabriel Jesus (12) only had six fewer touches. This drab display has left Guardiola in a quandary. Would a start at Palace provide his star striker with essential minutes to gain full-match fitness, or risk an upset that may be terminal to hopes of retaining the title? Virgil van Dijk and Olivier Giroud face off on Sunday. 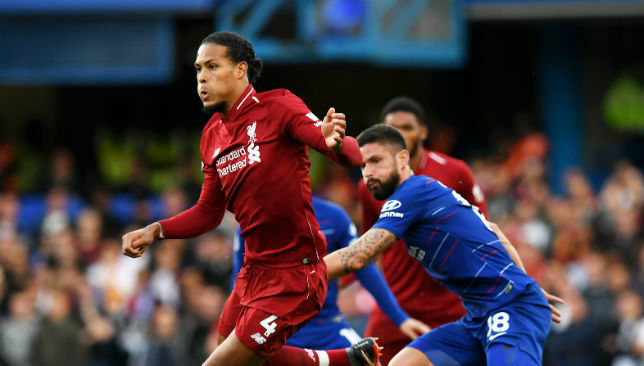 Olivier Giroud believes he and his Chelsea team-mates have nothing to fear when they come up against Virgil van Dijk in Sunday’s pivotal clash with Liverpool. The Netherlands centre-back has earned plaudits for the way he has transformed a leaky defence into one that has the Premier League‘s best record this season, conceding just 20 goals in 33 games. Van Dijk’s form has seen his reputation rise as he’s now considered one of the best defenders in Europe, but though Giroud acknowledged the Liverpool star’s brilliance he is confident Chelsea can beat Van Dijk and company on Sunday. “I played against Van Dijk personally a few times and it has always been a tough position because he is very good and very strong, but I’ve scored a few goals playing against his teams,” Giroud said on Friday, as reported by Goal. “The Netherlands when we played recently, but I won last year and scored at Stamford Bridge and scored the winner at the Stade de France against the Netherlands a few months ago. We don’t have to be scared and no matter who plays we will be 100 per cent focused on winning the game. Chelsea’s France striker also believes team-mate Eden Hazard should win the end-of-season player of the year awards, and not frontrunners Van Dijk or Man City’s Raheem Sterling.